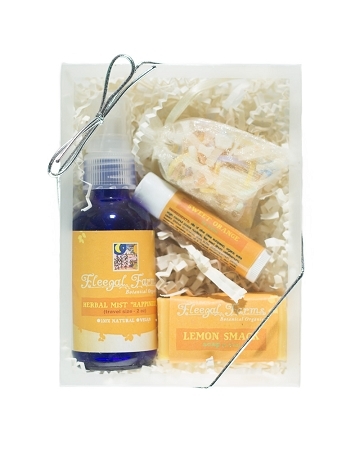 This set includes a Happiness Herbal Mist, a Sweet Orange Lip Balm, a lemon grass herbal sachet and a Lemon Smack mini soap (1.5 oz). The uplifting scent of the Happiness Spray makes it one of our most popular scents. This set brings fun and citrus sweetness into your day!